Before we delve into its uses, however, we have to define frankincense oil and review its origin. What Company Should I Purchase frankincense Oil From? Frankincense is mentioned quite a lot in the bible. It is one of the oils that were used to make the holy incense of the exodus (Exodus 30:34-36). It is also mentioned in the New Testament during the birth of Jesus. It is one of the gifts that were presented to Mary and Joseph by the three wise men who had been guided to witness his birth (Matthew 2.11). The essential oil is also mentioned several other times in the Bible. Frankincense oil is also available in the flowers and leaves of the tree but cannot be used as an essential oil. In order to extract the oil from the trees' bark, incisions are made in the tree at specific times of the year to allow the sap to gradually pour out. Frankincense is obtained from the Arabian Peninsula and East Africa (Somali and Ethiopia). The trees can also be found in China. Frankincense was in high demand from Europe to Asia, and that is where most of the distillation took place. It is one of the commodities that put the kingdoms of Southern Arabia in the global market with shipments mostly heading to India and Europe. Today, however, the demand for frankincense cannot be compared to that of the earlier days. In order for the transportation of frankincense to be possible on Land in Arabia during the earlier days, camels were used as the beasts of burden. Ever since the earlier years, frankincense has been used for religious, personal, and medicinal use by different societies. For instance, some minutes before taking the daily bath, individuals would use the aromatic smoke from the resins to make themselves smell better. Additionally, Egyptian women used frankincense ash for aesthetic purposes by mixing it into their eyeshadow. It is also known that the Egyptians used frankincense when preparing animal sacrifices and mummies. Frankincense had a high demand during the earlier days, that Nero, the Roman emperor, burned a whole year's harvest of frankincense during the funeral of the mistress he adored most. This goes to show how much frankincense meant to the people. It increased the wealth of the kingdoms of southern Arabia immensely. Traditionally, frankincense was used as a remedy for many ailments such as ulcers, fever, nausea, hypertension, chest coughs, indigestion, and post-childbirth recovery. Moreover, the smoke that is released when one burns frankincense is known to drive away mosquitoes and other insects. Frankincense has adequate levels of monoterpenes that possess a wide range of healing properties. However, the most important role of monoterpenes is to reprogram the miswritten information of the DNA structure or cellular memory. Correcting this coding helps to prevent the occurrence of certain ailments. Furthermore, frankincense also has sesquiterpenes, which transport oxygen molecules to cells. It is also thought that sesquiterpenes wok effectively in combating cancer by eliminating the miswritten codes. Moreover, the fact that they carry oxygen creates a hostile environment for cancer cells to grow. Frankincense essential oil is thin. Its color could be clear, yellowish, or greenish. The oil's smell is quite pleasant and sweet, acting as an add-on to its benefits and uses. Frankincense has been in use for about 5,000 years. This means that it brings a lot to the table, hence its popularity. What is frankincense used for spiritually? One of the most common uses of frankincense for a couple of thousand years ago was to facilitate prayer and meditation. There are also other spiritual purposes that frankincense is used for. It is used for various sacred purposes because it is known to promote peace, relaxation, and tranquility. It is capable of bringing peace to your mind. As a result, it is employed in meditation and exercises of the mind. If you are Catholic or know some of the details pertinent to the Roman Catholic, you should know that they use a significant amount of frankincense/olibanum during service. The priests use it in different services for spiritual purposes. There are also other Christian denominations who use frankincense for prayer and meditation. You could also make yourself a blend and meditate from the comfort of your home to achieve the relaxation that you desire. You can mix frankincense essential oil with the oils below for an optimal experience. Can you apply frankincense oil directly to skin? Frankincense essential oil could also be applied on the skin to help reduce wrinkles. It serves as a skin care product. This oil is astringent, helping it to protect your skin cells. As such, you could use it to slow aging because it minimizes the appearance of pores and acne. The oil is also known to lift and tighten the skin. Interestingly, it can be applied to areas where the skin mostly becomes saggy such as under the eyes. All you have to do is mix 6 drops of this oil to 1 oz. of unscented oil and then apply it directly to your skin. Frankincense essential oil also has antiseptic properties, which makes it an effective hygiene product. Besides its pleasant aroma, frankincense essential oil can also be used as a hygiene product in dental health matters. You could use it for issues concerning bad breath, tooth decay, oral infections, and cavities. If you mix your frankincense oil with baking powder, you can make your own effective toothpaste. Additionally, you can use frankincense to improve your scent. After all, its smell is known to be quite aromatic. Perfume scents are categorized as either masculine or feminine, which are assorted by notes – top, middle, and base notes. Top notes are volatile, and they are smelled first. Middle notes are noticed when the top notes become less strong. Base notes act as fixatives and they make the scent last longer. Usually, frankincense acts as a middle or base note. It has a scent that is suitable for both masculine and feminine use. Additionally, you can rely on frankincense oil to clean the insides of your home. Mainly because of its antiseptic qualities. Therefore; it is capable of eradicating viruses and bacteria in addition to serving as a natural deodorizer. You should ensure to mix it with an essential oil diffuser before you use it to clean any surface within your household – it helps to minimize indoor pollution. Digestive problems can be quite tormenting. If you experience any distress including stomachaches, constipation, gas, cramps, or irritable bowel syndrome, you can rely on frankincense essential oil to eliminate the distress. This is because frankincense oil works like digestive enzymes by helping to speed up food digestion. If you are using frankincense essential oil for this purpose, use 8 oz. of water and pour in one to two drops of the essential oil. Alternatively, if you decide to orally ingest it, you need to ensure that you only take 100 percent pure frankincense oil. Another effective use of frankincense essential oil is relieving inflammation and pain. It is particularly helpful to individuals who experience joint pains, those with arthritis, and those who are asthmatic. It is an essential oil that enhances blood circulation, enabling it to lower muscle and joint pains. To use frankincense oil, all you need to do is massage it to the painful regions or diffuse it within your premises. You could mix a drop of frankincense oil to steaming water then soak a towel, which you then place on the affected body part. Alternatively, you could put the soaked towel/cloth on your face so that you can inhale it. This technique has proven to relieve muscle pain. Frankincense is able to provide you with relief from colds and flu by eliminating phlegm from your lungs. In the nasal passage, frankincense essential oil serves as an anti-inflammatory agent, helping you to breathe a lot easier. This makes the oil very useful to asthmatic individuals. For this relief, you need to pour a couple of drops on a cloth then inhale it. Frankincense essential oil is known to give you relaxation and peace of mind. Fighting anxiety is one of the qualities that the oil is revered for. To gain stress relief, you only need to mix a few drops of frankincense essential oil to your hot bath and soak in it. There are also other effective methods that you could implement, but the main goal is achieving relaxation. Frankincense essential oil has numerous properties that make up the immense health benefits that it brings to our bodies. It is a disinfectant, an antiseptic, an expectorant, astringent, and sedative substance just to mention but a few. Here are some of the major benefits of frankincense essential oil. Traditionally, trees from the Boswellia family were used as medicine, and frankincense is obtained from this variety of trees. The oil can be applied on wounds to prevent them from getting septic in addition to protecting them from tetanus. Additionally, you can use frankincense oil for internal wounds to prevent them from developing any infections. According to a 2010 study, the antimicrobial and essential oil composition of frankincense oils was compared. Findings indicated that frankincense oil has great antiseptic qualities. As mentioned above, frankincense oil has astringent properties that deliver numerous benefits to the user. You can use this essential oil to strengthen your gums and hair roots. It also contracts intestines, muscles, blood vessels, and the skin. This property allows it to prevent premature loss of teeth and hair. It also minimizes the appearance of wrinkles. Moreover, the astringent quality of frankincense oil enhances the firmness of the abdominal muscles and intestines, which is lost as we age. It can also help to relieve diarrhea. Another essential benefit of frankincense oil is enhancing your oral health. It's antiseptic properties are what enable it to deal with dental health issues such as mouth sores, cavities, toothaches, bad breath, and cavities among other infections. Moreover, frankincense oil has an alluring aroma and flavor that leave your mouth feeling fresh all day long. As a result, frankincense oil is added to natural oral care products to deliver these benefits. Stress and negative emotions often weigh people down, leaving them in a helpless and unproductive state. Research has it that when you inhale frankincense oil, your high blood pressure and heart rate will significantly reduce. This means that your stress levels and negative emotions will reduce. Interestingly, inhaling the essential oil has no negative side effects. According to a 2008 study that was conducted on mice, burning Boswellia resin and incense achieved anti-depressive effects. After being used for so long for its health benefits, Frankincense has attracted intense research to establish its ability to manage cancer. Numerous studies indicate that frankincense has potential anti-tumor and anti-inflammatory effects after being tested on animals in the lab. Frankincense essential oil has proved to aid in the suppression of cells that cause certain types of cancers. Some researchers in China sought to investigate the anti-cancer impacts of frankincense essential oil using the MTT assay. Moreover, another study showed that AKBA, a chemical compound present in frankincense is capable of suppressing cancer cells. Those that have shown resistance to chemotherapy. This could mean that frankincense has the capability of managing cancer naturally. One of the major advantages of frankincense essential oil is its ability to improve memory and cognitive abilities. As a matter of fact, a study was conducted on pregnant rats, whereby frankincense was administered orally during the gestation period. Ultimately, the offspring memory, both short-term and long-term increased. Their power of learning also significantly increased. Frankincense essential oil has been known to not only improve skin tone but also strengthen the skin. Moreover, it enhances the skin's elasticity, appearance, and defense against bacteria as people age. Frankincense essential oil also helps contract and lift the skin, reducing the appearance of acne and scars. Furthermore, it can help to heal dry or cracked skin, heal wounds, and fade surgery and stretch marks. When your stress levels are high, insomnia is bound to hit you. Frankincense essential oil can provide you with the calming effect you need to enjoy a good night's sleep. Adequate research has not been conducted on the delivery of this benefit by frankincense essential oil. However, it may be relied on for minimizing symptoms that are related to PMS and menopause by helping to balance hormone levels. Women, therefore, can use frankincense to relieve cramps, pain, and mood swings. The oil could also help to regulate estrogen production in addition to minimizing the risk of cyst or tumor development in premenopausal women. According to studies conducted on animals, frankincense oil has the potential to promote fertility. When used on rats, frankincense oil was linked to improved fertility. So far, there are no known severe side effects caused by frankincense essential oil. However, you need to still watch out for side effects such as nausea, headaches, stomach upsets, and rashes. It is strongly advised to keep off frankincense essential oil during pregnancy because of its emmenagogue qualities – it could induce menstruation, causing consequential outcomes. That said, individuals who also have bleeding disorders, as well as those under anti-coagulant medication, should be wary of ingesting frankincense. This is because it has blood thinning effects that could increase the risk of irregular bleeding. Before using frankincense essential oil, ensure to consult a medical practitioner. When the immune system has some disorders, or when the body develops various infections or suffers some injuries, or when there is some irritation, the body tissues will experience inflammation. Inflammation is characterized by swelling, redness of the skin, and pain. The body cells release leukotrienes, which cause inflammation. Leukotrienes are the ones that cause the majority of the inflammatory diseases such as arthritis, asthma, and rheumatism. Over the years, frankincense has been used to treat ailments related to the respiratory system such as coughs, asthma, and bronchitis. Diseases such as asthma come about due to inflammation caused by leukotriene. Boswellic acids present in frankincense, however, are able to inhibit the biosynthesis of leukotriene. In a particular study, a couple of patients who had chronic bronchial asthma were treated with the B. serrata preparation of 300 mg three times a day daily over a 6-week period. In a study conducted in 2009, several scientists found out that essential oil obtained from Boswellia carterii differentiated bladder cancer cells and healthy cells quite effectively. According to several studies, pentacyclic triterpenoids, which is found in B. serrata, could inhibit the growth of prostate cancer cells. Additionally, tirucallic acid, which is isolated from the oleogum resin of B. carterii is a great Akt inhibitor. Akt is known to be a key factor in numerous types of cancers. Frankincense essential oil has been used for millenniums because of its disinfectant qualities. It has been known to have antibacterial qualities capable of dealing with several microorganisms. AKBA is capable of reducing and preventing the biofilm generation by Staphylococcus aureus and Staphylococcus epidermidis. In a 2011 study, findings indicated that AKBA can be relied on to develop an antibacterial agent against oral pathogens. Traditionally, people relied on frankincense to have a better memory, which ultimately enhanced their learning abilities. The elderly were given frankincense oil to improve their memory, while pregnant women were given the essential oil to help increase the intelligence and memory of their offspring. 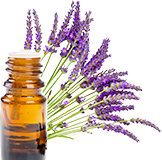 For thousands of years, essential oils have been used for numerous health benefits and other uses. Frankincense essential oil is one of the oils that can achieve quite a lot. The oil was used by ancient civilizations, and it is still being used today although its popularity has decreased. Frankincense is obtained from trees of the genus Boswellia – Boswellia sacra, B. carterii, B. frereana, B. thurifera, and B. bhaw-dajiana. The oil was majorly traded in the past, and it is used in aromatherapy, scents, medicinal uses, and religious purposes. Frankincense has a number of benefits. It is effective in helping you achieve sleep, and it can help to inhibit the growth of cancer cells. Moreover, it is effective in skin care, oral health, relieving inflammation and pain, and relieving stress among other benefits. Additionally, it has a pleasant and sweet scent. I hope you enjoyed learning about all of the cool benefits and uses that frankincense essential oil offers. It is definitely one of the most versatile oils because it can be used to create so many different types of blends to solve your everyday problems.